Nokia is continuing to push its Windows Phone 8 devices in China after a national regulatory filing revealed that the Lumia 625, a seemingly mid-range smartphone, is on its way to the country as soon as this month. All smartphones imported to China must be certified to use wireless networks, and the phone has been found on radio communication device regulator TENAA’s website — image below — as Liveside notes. A Sina Weibo user claims the phone will launch in China at the end of this month for RMB1,999 ($325) off-contract. 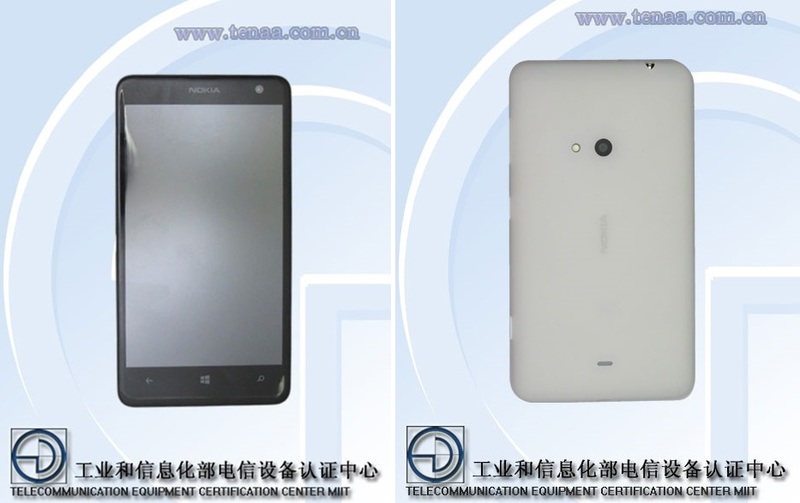 Although there are no confirmed details within the product listing, aside from supported radio networks, the device looks to be a low-end phone to complement Nokia’s existing product line in China, which includes the Lumia 920T which launched with China Mobile this year. There have been plenty of rumors of a Lumia 625. The device is said to sport a 4.7-inch screen with a 1.2 GHz Qualcomm S4 MSM8960 dual-core processor providing the horse power. The phone was initially tipped to enter the US — which it is still do — and to include support for LTE. Given that there are no LTE networks in China yet, the Chinese variant goes as fast as HSDPA/HSUPA, according to the listing. A more affordable device might help Nokia grow its presence in China, where it has struggled. Though its revenue in Q1 2013 from China increased 20 percent on the previous quarter, thanks to the Lunar New Year season, the total was down 25 percent from that of Q1 2012. The Finnish firm sold 3.4 million devices in China during Q1 2013, that’s lower than the 4.6 million units it shifted in Q4 2012 and the 9.2 million devices sold in Q1 2012. Though Nokia did not break the figures out based on smartphone and feature phones volumes, the stats are not promising. A more affordable device might help capture the attention of consumers with a budget for mid-range devices where much of the growth is tipped to occur. China’s Xiaomi, which makes devices priced around RMB1,699 ($280), illustrated that potential yesterday when it announced record revenue of $2.15 billion for the first half of 2013. The company predicts it will sell 15 million smartphones this year. It may yet transpire that the Lumia 625 comes to the US too. Nokia Power User spotted a device that matches up to its reported specs at the FTC in AT&T branding. We’ve reached out to Nokia for further details.